CompuMove maintains a detailed chart of your storage vaults and sofa racks, allowing you to visually scroll through the warehouse. 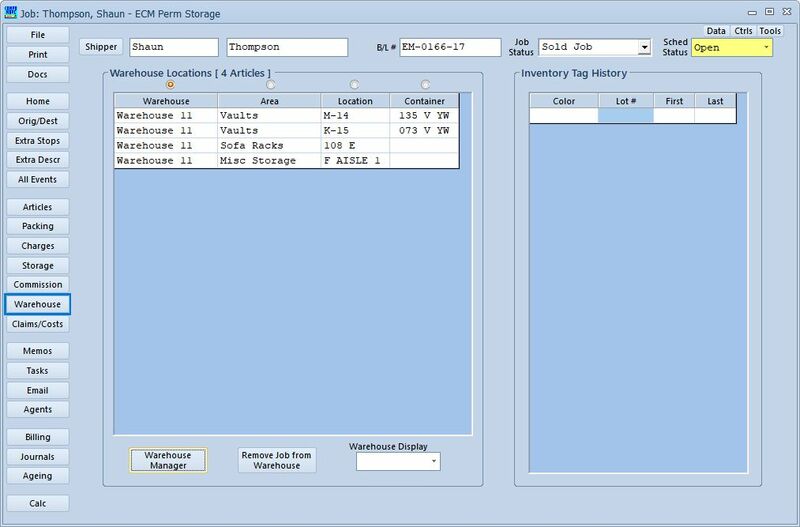 The system tracks vault locations, full and empy vaults, unstacked vaults, and racked or loose storage. Each shipment has its own listing of every warehouse item, including areas, locations, and containers. 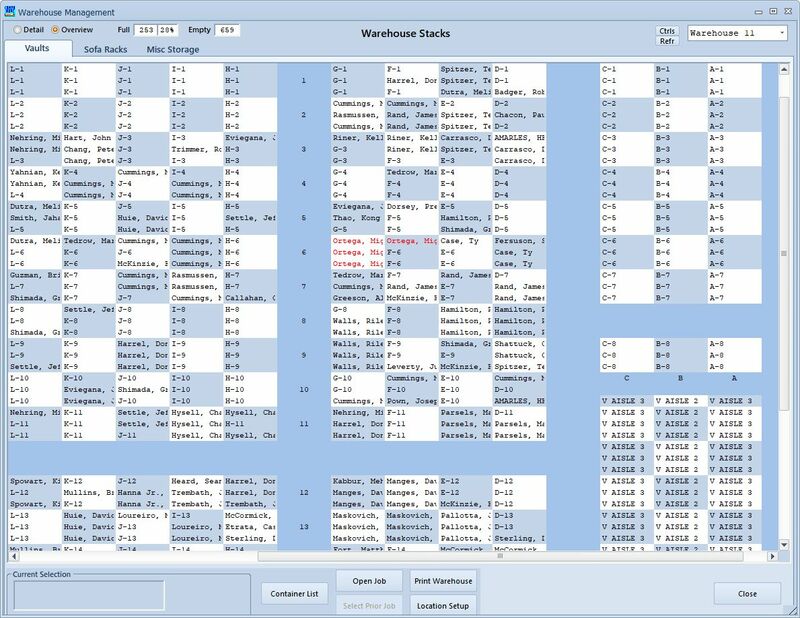 A warehouse ‘pick-list’ worksheet can be printed at any time for a shipment. This screen is the setup for recurring storage bill posting. Line items may be configured as desired; in this example, hundredweight and vault storage are both supported. Once set up, a storage lot will have a recurring posting for each storage period. Full account history is maintained, forever, including charges and payments, and can be printed or emailed for a customer as needed. 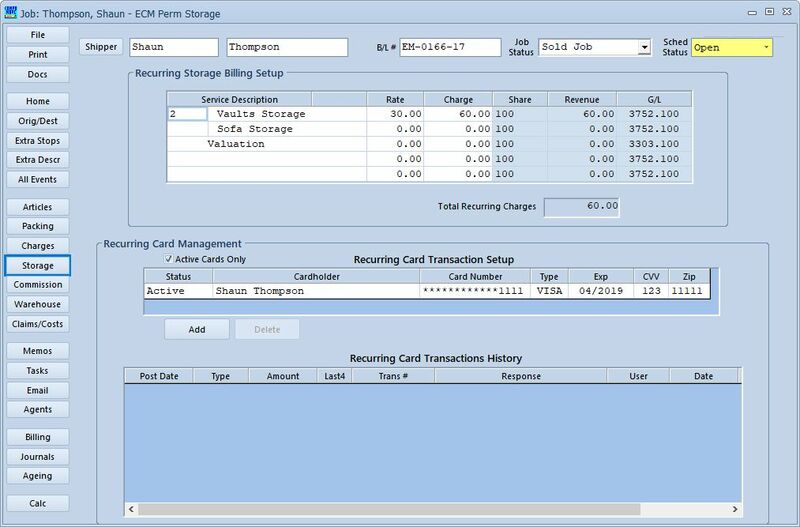 Invoices for recurring storage charges are batch-printed on a periodic basis. 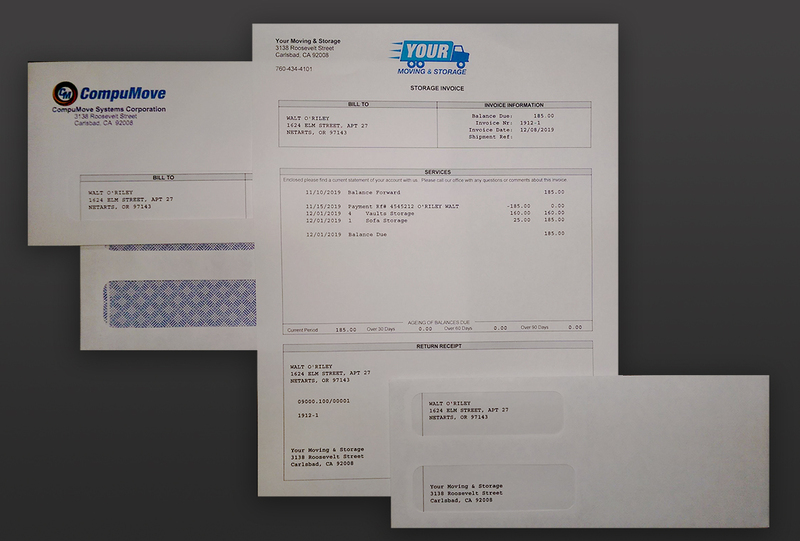 Invoices can include custom logos, and can be formatted for window envelopes, and return window envelopes.